July is UV Safety Awareness Month and our skin is the most UV-affected area on our body. While our skin spends every day protecting us against heat, dehydration, sunlight, injury and infection, some of us don’t consider protecting our skin to be of importance. 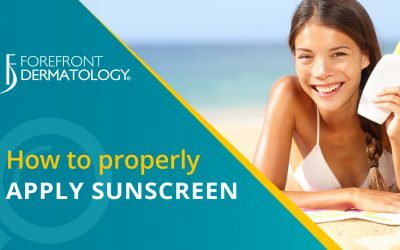 There are simple, everyday steps you can take to protect your skin from the harmful effects of the sun’s UV rays. Wear proper clothing that will protect your skin from the harmful UV rays. Protective clothing includes long-sleeved shirts and pants, a wide-brimmed hat that covers your face and neck, and UV-resistant sunglasses. UPF protective fabrics are now widely available and provide long-lasting sun protection that doesn’t sweat, rub or wash off. Remember, you can fall victim to sun damage on a cloudy day as well as in the winter, so dress accordingly year round. 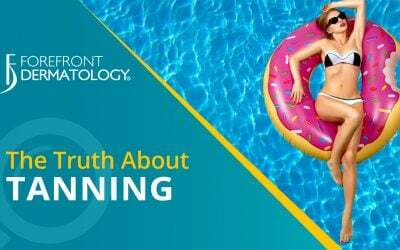 Avoiding sunburns significantly decreases one’s lifetime risk of developing skin cancer. It is especially important to remember that just five blistering sunburns can increase a child’s risk of developing melanoma by 80 percent. Stay out of the sun, if possible, when the sun’s UV rays are their strongest – 10am to 4pm. Use extra caution when near reflective surfaces, like water, snow, and sand. Even the windows of a building can reflect the damaging rays of the sun. The reflection from any of these common occurrences can increase your chance of sunburn, even if you’re in what you consider a shady spot. Apply broad-spectrum sunscreen generously to cover all exposed skin. Broad-spectrum sunscreen protects against overexposure to UVA and UVB rays. Remember to reapply sunscreen throughout the day and after being in the water or sweating. Just because a sunscreen claims to be water resistant does not mean you can slack on reapplication. Water resistant sunscreen means the SPF within the sunscreen can be maintained for up to 40 minutes while swimming or sweating. It is important to dry off and reapply often for continued protection. While the skin may be the body’s largest organ, your eyes are the second most UV-affected organ. 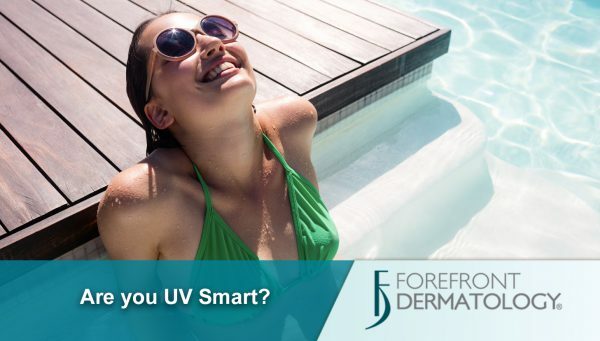 According to PreventBlindess.org, overexposure to UV rays can lead to vision loss, cataracts, corneal sunburns and even skin cancer of the eyelids. 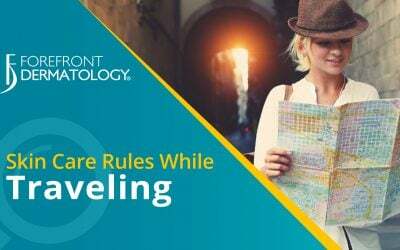 To protect your vision, wear a wide-brimmed hat that keeps your face and eyes shaded from the sun at most angles. Sunglasses should also be worn to protect your eyes. Choose a pair that reduces glare, filters UV rays and wraparound to protect your eyes from most directions. According to PreventBlindness.org, it is important to read sunglasses labels to make sure it clearly states it blocks 99 to 100 percent of UVA and UVB rays. When planning your outdoor activities, you can decide how much sun protection you need by checking the UV Index Level. This index measures the daily intensity of UV rays from the sun on a scale of 1 to 11. A low UV index requires minimal protection, whereas a high UV index requires maximum protection. Regardless of whether the sun is shining or clouds are hovering, be proactive and apply sunscreen daily. 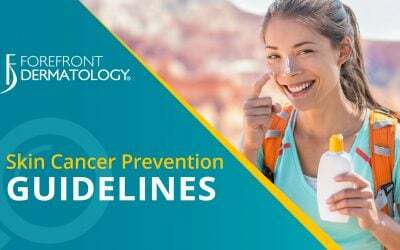 While sunscreen is a great tool, ultimately the best prevention for skin cancer will always be getting your annual skin screening. 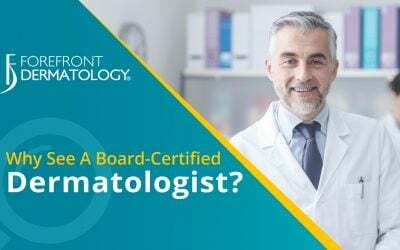 Early detection saves lives and the skin health experts at Forefront Dermatology are ready to help. 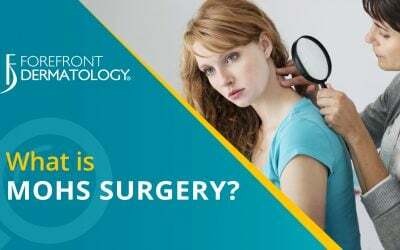 To schedule your annual screening find the Forefront dermatologist nearest you, visit the locations page today.